Create promotional materials and souvenirs that leave an impression. Upload your logo and business contact information to a full year calendar. 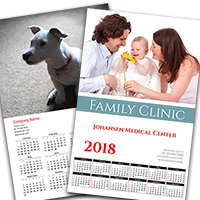 Produce poster calendars to promote business events or activites.